My recent trip to New Zealand was literally the trip of a lifetime. 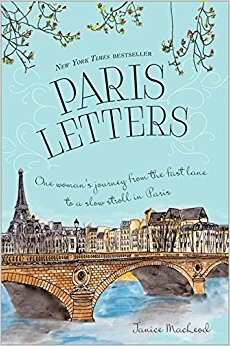 I planned it start to finish based on reading blogs and travel websites to ensure I was getting the best of New Zealand. In the process, I learned a lot about the history, people, and just what New Zealand is known for. Along the way, I found some hidden gems and even some areas to avoid. I’ve always been a planner but this trip took my love for travel and planning to a whole new level. I planned thirteen full days start to finish, which included the flights, hotels, transportation, activities, road stops. I know I sound like I am bragging and it’s because I totally am; a lot of love, frustration, planning and re-planning went into this trip to make sure it was perfect. In 13 days, we saw so many beautiful places and did so many incredible things. There were things that I never thought I could do just based on the fact I have limited myself so much on past travels. I came up with the list of things that you must do while in New Zealand, which could be an activity, visiting a place, or just something you can’t miss. When you go to New Zealand, none of these things should disappoint. With New Zealand having so much to offer, I will be dedicating one post to the North Island and one post to the South Island. This post will be about the South Island and everything it has to offer. Going to Christchurch was quite an interesting experience because this city endured a lot of damage from the 2011 earthquake, a lot of which you can still see while you are driving and walking around. Due to the damage, there is not much to do except just walk around the city, but it is incredibly fascinating; there is beauty surrounded by destruction. The whole city is a piece of art. Walk the Streets – You will find yourself in awe and shock walking through the city’s streets because not only will you see all of the pain and suffering this city and it’s people has gone through, but you will see how they are trying to pick themselves back up. While walking through the streets, you will see buildings that once were home to large companies and corporations with the windows missing and graffiti covering the buildings, you will see storefronts that have graffiti on the windows and inside you see the remnants of what used to be in there, and you will walk by you will be surrounded by beautiful street art that has covered abandoned buildings. It is quite sad to walk around and see all of this, but at the same time it makes you realize how our earth and the people living on it can endure so much pain and suffering and yet they can still pick themselves back up. Re:START Mall – A small outdoor shopping mall made out of shipping containers. All of the decorations and physical buildings are made out of recycled materials, which makes this especially fascinating. This is a great place to look for souvenirs, but also a great way to support the local economy. This little mall is the only part of the city we found to be lively while they work on rebuilding the rest of the city, so make sure to check it out! 185 Chairs – This art installation is a beautiful tribute to those that died in the 2011 earthquake. Each white chair represents a person who lost their life, with each chair being unique to each person; there were high chairs and car seats representing the babies and children, rocking chairs representing the mothers, and so on. The visit here is a little solemn but I think it is important to pay respects to those that were involved in such a terrible disaster. Cardboard Cathedral – Just around the block from 185 Chairs, you will find the Cardboard Cathedral with its vibrant colors and unique architecture. A lot of the cathedral is made of cardboard and was built for those to have a place of worship since the Christchurch Cathedral was destroyed during the earthquake and was too expensive to fix. New Regent Street – This street is for pedestrian use only and is absolutely adorable! The street is lined with shops and cafés, which are below colorful buildings that look like houses. It is very small and quaint, but it is a great place to walk around for a bit while you get acquainted with the area. I am not even sure where to start with Lake Tekapo as it was hands down my favorite place in New Zealand. 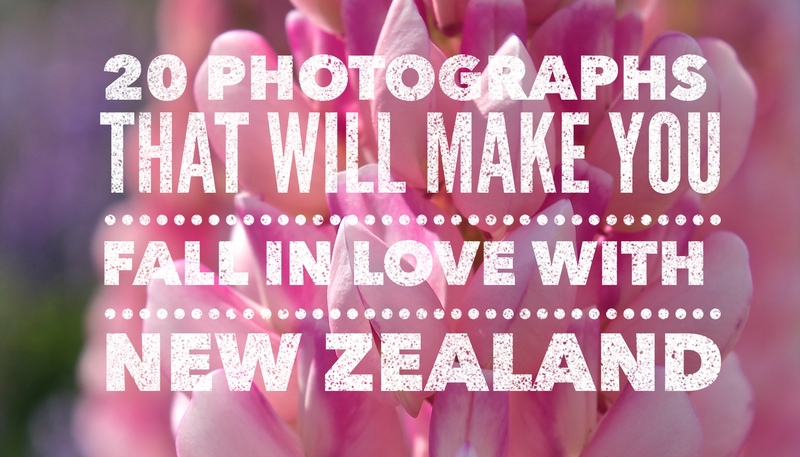 It is about a 3-hour drive from Christchurch and a MUST VISIT during lupine season! I knew before we went on this trip that this would probably be my favorite part and I couldn’t have been more right; I can’t even put into words the beauty of this place! Prime lupine season is mid-November to end of December and if you can, plan your visit to New Zealand (especially the South Island) during this time frame. GET ENGAGED HERE (If you can help it) – Your friends and family will talk about it for months, and you can’t help but brag and want to show everyone a picture, including people you first meet! Make sure you have someone around who can take pictures for this special moment because I promise you want it captured. I have the best sister ever who can keep secrets and take amazing photos! Take a hike – there are quite a few trails in the area and I could not tell you which one we did, but it was still beautiful. This was not the trail I planned on us doing, but it still turned out to have amazing views! Stay at Lake Tekapo Motels & Holiday Park – If you are lucky, you will get the perfect view of the lake to wake up to and it will make your day start off in an amazing way. If you are renting a campervan, they provide a picnic table for you to use, electricity, and running water. When renting an RV, this is SUPER important. The park itself not only had very clean facilities, but like I said before, the location is very convenient. Stay up to see the stars – We were so exhausted and did not stay up to see the stars, and I regret it so much. I have seen so many incredible pictures of the stars in Lake Tekapo and months later I am still mad at myself. Church of the Good Shepherd – Unfortunately we missed this too, so don’t make the same mistake! We got so wrapped up in the beauty of the lake and its surroundings (and the engagement!) that I completely forgot about the church! This is an icon in the area and you shouldn’t miss it. Another picture perfect spot to spend some as little or as much time as you want. It can be a place for you to spend the night or a stop along the way. For us it was just a stop but it was worth every second. Crystal clear blue waters make for unbelievable pictures. Don’t forget to wear sunscreen as although it may not be hot, the sun is still shining and you can get some color in a matter of minutes. Queenstown is the definition of perfect; it is not overly crowded and it has so much to do. You can enjoy the shops, restaurants, and cafés downtown or you can book an adrenaline rush. There is a feeling of belonging in Queenstown, no matter where you are from. Be Adventurous – There are endless opportunities to live on the edge in Queenstown; you can bungee jump, swing over a canyon, zipline, skydive, hang glide, paraglide, do the Shotover jet, the list is endless! My fiancé and I booked the Nevis Swing (largest swing in the world) and it was amazing! This is good for someone who isn’t quite ready for the bungee jump but still wants an adrenaline rush. My sister and her friend Jessi, on the other hand, bungee jumped and said it was crazy. No matter what you decide to do, the team at AJ Hackett take really good care of you and make you feel safe. Hangout Downtown – As I touched on a bit already, downtown is full of life and is right on the water. It can make for a fun evening with the family or a romantic evening for you and your significant other. When the sun is shining, there are plenty of spots to soak up the sun and enjoy being in the moment. Check out The Remarkables – This is the iconic mountain range that surrounds Queenstown. It makes for great photographs and allows you to be one with nature while still being in a city. Stay at Pounamu Apartments – This would be a splurge when it comes to accommodations, but it was worth every penny. It is a full apartment with 2 bedrooms that have king size beds and private bathrooms. It also has a full kitchen, a living room with a fireplace, and floor to ceiling windows with a view of The Remarkables. Shout out to the staff for leaving a bottle of wine, chocolate, and a card congratulating us on our anniversary! Fly – Through Air Milford you can fly Queenstown to Milford Sound round-trip and get stunning views; you fly through the mountains that are covered with snow, and you fly so close to the mountains that sometimes you wonder if you can touch them. It is totally worth the extra money you pay for it because you save a lot of time so you can explore more of Queenstown while still getting the experience of Milford Sound. Air Milford is owned by a father and son and they do such an incredible job; they are friendly, outgoing, and make the whole experience perfect. Cruise – if you go to Milford Sound, you have to take one of the cruises. Through Air Milford, they book the cruise for you, reserve inside seating, and give you a complimentary drink and cheese platter on board. Fortunately for us, we had amazing weather, but apparently that is extremely rare so make sure you are prepared for bad weather and high winds. Toward the end of the cruise, the staff will tell you to go outside and go to the front of the boat to see a waterfall, DO IT! Make sure you don’t have any electronics exposed, though (hint, hint). There is not much to see or do here, but it makes for a quick stop while visiting the South Island. Here you can see some fascinating rocks that look like limestone pancakes stacked on top of one another. You can do the loop in about 20 minutes and it is worth your time. I have to say I wasn’t super impressed with Abel Tasman, but the weather was also miserable. Before we left on our trip, I saw all these beautiful photos of the water being so crystal clear to the point of it being transparent. I am by no means saying don’t visit because I would have loved to have spent more time here. Kayak – We booked a 3-hour kayak/hiking trip with Kahu Kayak for our time in Abel Tasman. I was banking on sunny and warm weather, but it turned out to be quite the opposite. Unfortunately the water was a bit choppy, but the experience was still a ton of fun thanks to our guides and the other people on the trip; our guides were full of humor and down to earth. Be ready to kayak for 1.5-2 hours and then prepare to walk for about another 2-3-hours back to the kayak base. I wasn’t expecting the hike to be so crazy and the weather to be so awful so we were extremely unprepared. We ended up having one of the guides book us a water taxi back to the main island, so if it is raining that day, remember this because the taxi wasn’t a promise. Eat a burger at The Fat Tui – SO GOOD. The burgers are huge, the prices are great, and the staff members are incredibly friendly. Our guide from the kayak tour actually recommended this place to us, which was great because this place was conveniently located right next to Kahu Kayaks and we were starving by the time we got back to our RV. New Zealand’s South Island surpassed all my expectations I had. 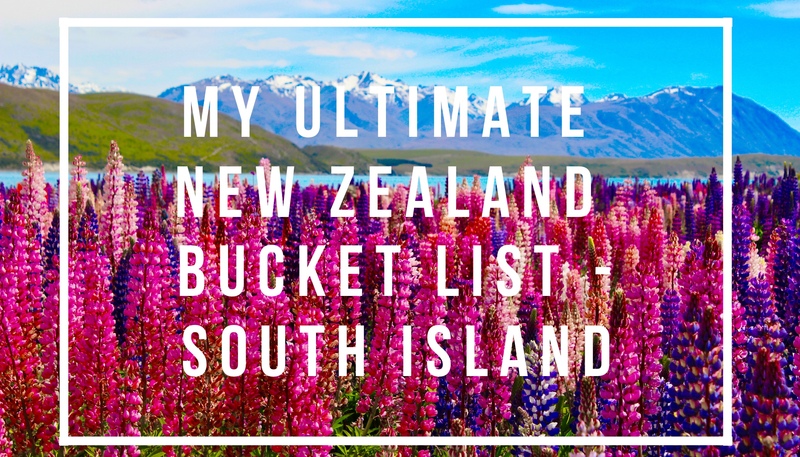 There is still so much to see and do and the day I get to go back to the South Island will be a dream come true. I cannot thank the universe enough for creating such a beautiful country. Since I have posted about our adventures on both the North & South Islands, who is ready for a North vs South?! Stay tuned for that post. Ready to plan your adventure to New Zealand and need some help or someone to do all the dirty work for you? Contact me here and I am happy to help you out! Enter your email address to follow this blog and receive e-mail notifications when something new is posted!